One of the most fundamental concepts of interior design is balance. Balance can be achieved in one of three ways: symmetrically, asymmetrically, or radially. Regardless of which type of balance you aim to create, the primary goal of balancing a room is to equally distribute the visual weight of the objects within the space. Size and shape aren’t the only factors that influence the weight of an object; shape, color, pattern, brightness, and texture also play important roles in achieving balance. Symmetrical balance is typically used when designing formal spaces, where each side of the room is equally split and weighted with your chosen décor. To achieve symmetry, designers often use identical furnishings on both sides of the room, though not always. A bedroom with matching nightstands and table lamps on both sides of the bed is a common example of symmetrical balance. While symmetrical balance is usually easier to achieve, especially if you’re purchasing new furniture for a square or rectangular room, it can be difficult to create a room that is both symmetrically balanced and visually interesting at the same time. Asymmetrical balance, which is often considered less formal than symmetrical balance, can be a little more involved to execute properly. Instead of the room being split into mirror images, asymmetrical balance uses different furnishings and décor that roughly equate in terms of their visual weights. For example, you may have a living room designed with a large sofa on the right and two smaller chairs across from it. In this example, the two smaller chairs are used to balance out the larger sofa. While individual tastes vary, I find that asymmetrical balance is the most visually interesting, albeit a bit harder to do right. One of the hardest parts about creating an asymmetrically balanced bedroom (that looks great) is to make the design appear effortless. Asymmetrical design can require a lot more thought, but you don’t want the room to convey that extra work to its viewers. An example of asymmetrically balance in the bedroom would be where you use a side table on one side of the bed and a mirror on the other. The trick is to make it look right, and appear symmetrical at first glance. Asymmetry can also save you money, especially if you’re buying used furniture or antiques that might be difficult to buy in matching sets. Radial balance is the third type of balance, and is achieved by arranging furnishings around a central focal point. A common example is a circular dining room table surrounded by chairs. Unless you have a custom-shaped mattress, radial balance isn’t commonly used in bedroom design, except maybe when arranging wall-hanging items or in bedrooms with a lot of space and a seating area. You may also aim to balance your bedroom radially, with how you arrange your larger bedroom furnishings, e.g., you wouldn’t want to put your dresser, chest of drawers, and bookcase all in the same corner of the room – you’d spread them out around the bed. The best way to understand balance is to look at examples of what other people have done. Houzz has several excellent channels that feature designs utilizing these three types of balance. The following links are provided to show you examples of how other designers utilize symmetrical balance, asymmetrical balance, and radial balance in their space. 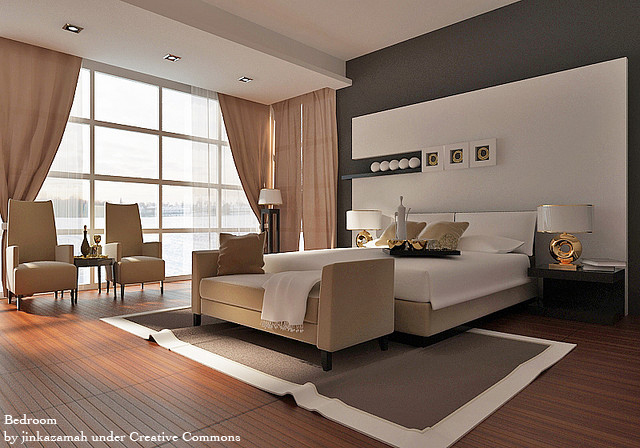 What do you think: Do you prefer perfect symmetry or an asymmetrical bedroom? Let us know in the comments below. On New Year’s Day, people around the world will be celebrating – with food! Health, prosperity, love and luck are signified by festive, global dishes. In Japan, they will ring in the new year with “toshikoshi soba”, lengthy buckwheat noodles associated with longevity. Germans will be dining on hearty pork and sauerkraut, meant for abundance and luck. And here in our own southern United States, “Hoppin’ John”, a dish made with round black-eyed peas and salt pork, is believed to bring good fortune and a circuitous close to the year. 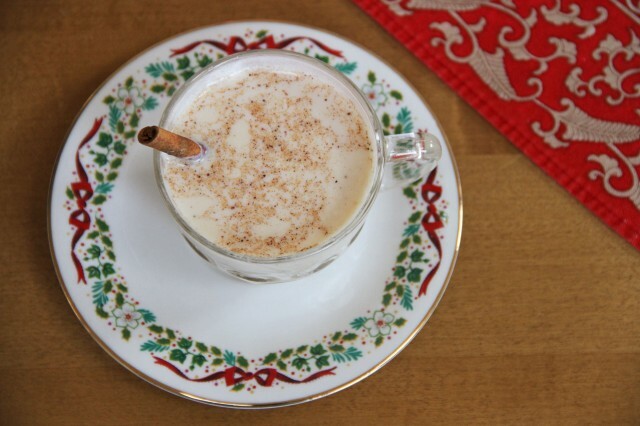 Hot Toddies are simple to make, but be careful, just a hint of brandy and spice makes them alarmingly addictive. Vary your toddies by using whiskey, rum or bourbon. Make them with water or tea, fiddle with the spices, or float a thin slice of lemon on top. Then serve them at your own “collation”, or simply keep them to yourself and quietly celebrate the first breakfast in bed of the year. 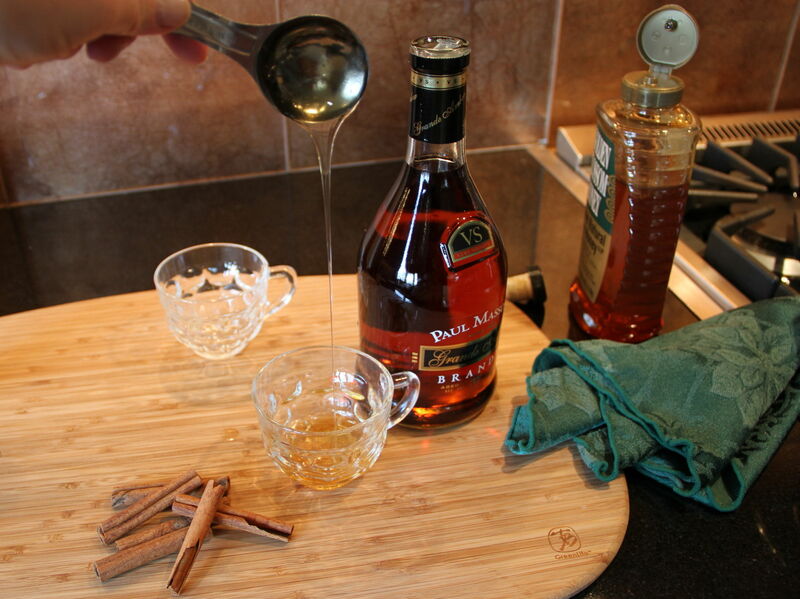 Add brandy and honey to a small heat-proof glass, such as an Irish coffee mug. Pour milk into small, heavy pot and heat over medium to medium-low heat until warmed. Stir mace into milk. 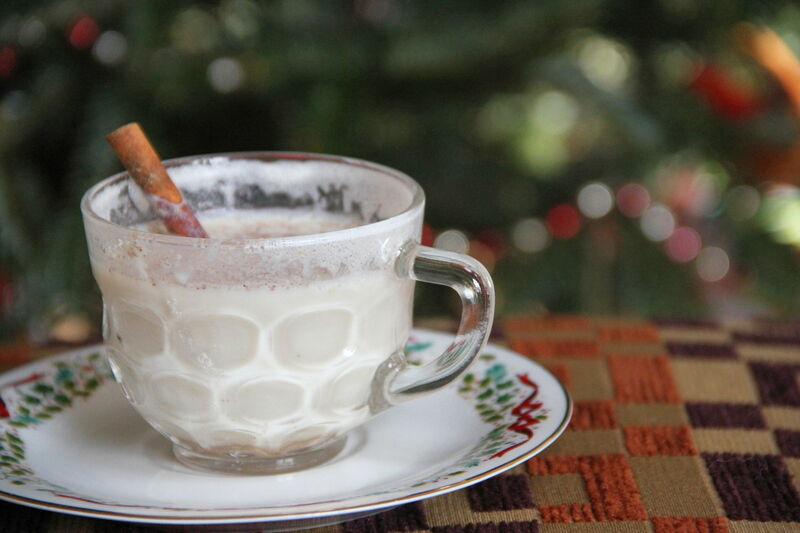 Pour warm milk into glass containing brandy and honey. Stir. Add cinnamon stick, sprinkle with nutmeg if you like, and serve immediately. The season calls for shorter days, so any light and warmth I can absorb from sun, I covet. On typical weekdays, I am trapped on the 40th floor of an office skyscraper, smack in the middle of the floor away from any windows. I rarely get the chance to see the sun. Lunches are generally a quick shovelling of leftovers to sustain me until I am ready to leave the office. And by that time, the sun’s counterpart, the moon is there to shadow my commute. Woe is me. The only time I get to enjoy the sun is in my bedroom on the weekends. I have 3 generous windows in my bedroom for the sun to shine in. But by time I have finished all the weekend chores and errands, and retreated back into my bedroom, the windows are no more than black reflections. So, even if my dreary life does does not always allow me to pause and enjoy Mother Nature’s source of joyful heat, it doesn’t mean I can’t utilize other methods to brighten my bedroom atomsphere, day or night. In addition to the perfectly vibrant shades in this bedroom, symmetry just triggers happy endorphins. Matching ottomans and table lamps helps make the room appear orderly. 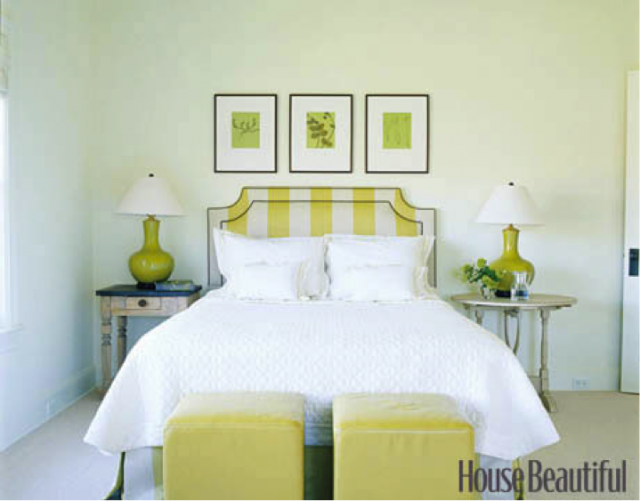 Together with the vertically striped headboard, the furnishings add a dose of sunny colors that will bring forth an even warmer, saturated hue as night falls. When looking to brighten a bedroom, it’s hard to go wrong with crisp, white sheets that will cast a pure illuminating sheen. Any reservations that I may have had about painting an entire bedroom’s walls a bright bold color, have vanished after seeing this bedroom’s use of yellow. I don’t consider yellow a soft, calming color. 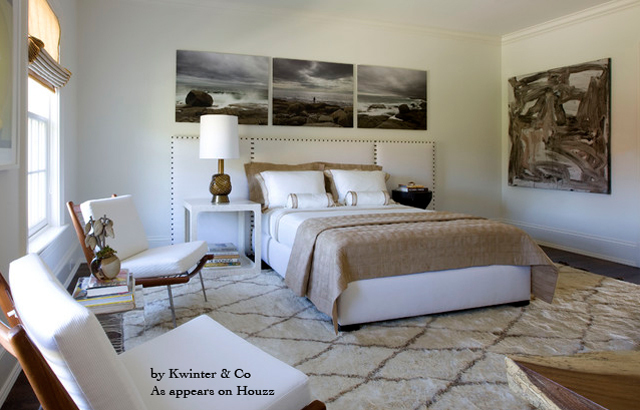 However, this zen like bedroom keeps clutter to a minimum and sunny opulance at a maximum. White linens are again key to intensifying the faux sunlit walls. If my bedroom lacked windows, I would have even more reason to try to convert my bedroom to a sunroom. This bedroom appears to be a typical Manhattan closet sized studio with just enough room to squeeze in a bed. 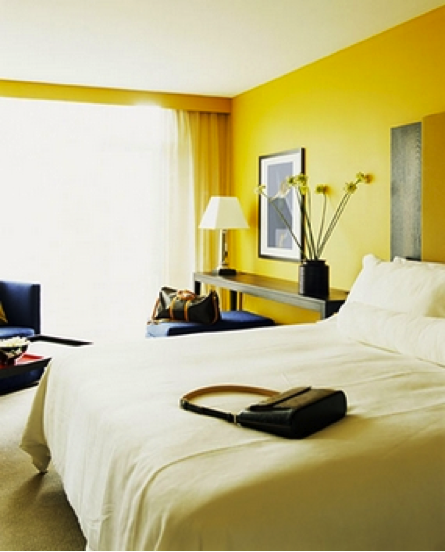 However, accents of the sun found in the geometric linens and book covers help to make it a golden retreat. And with the help of the canary colored overhanging lamp, the shimmering taupe wallpaper will help the bedroom shine on long after the sun has set. 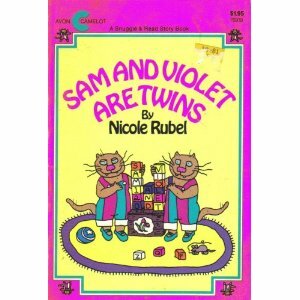 Sam and Violet’s Christmas by Nicole Rubel. Siblings are such a pain! They ruin your things just for fun! They tell your friends embarrassing things! Why would you want to get a nice present for such a mean old brother or sister? That’s what Sam and Violet, twin cats, are puzzling over this Christmas. When Sam is poking around, he finds Violet’s present to him: an old shoe! When Violet is poking around, she finds Sam’s present to her: a box of bugs! 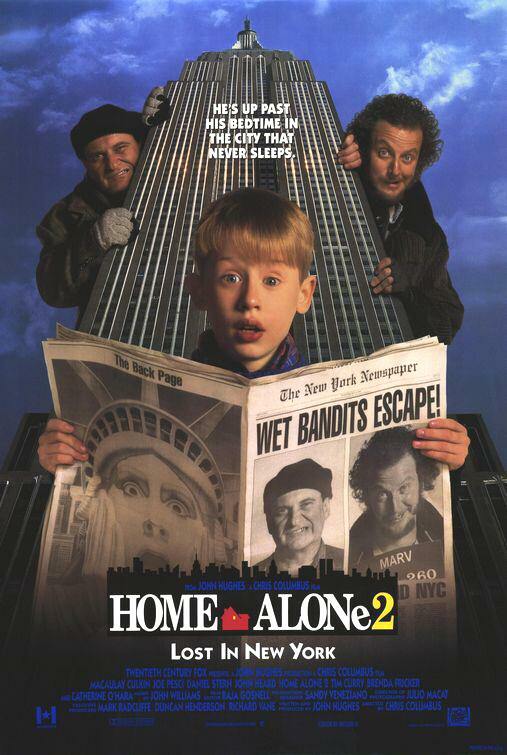 On their own, each tries to figure out why their sibling is so terrible. But the more they think about the things the other has done, the more they remember the kindness: helping with homework, teaching the other to ride a bike, standing up for them. Spoiler alert: those terrible gifts were merely red herrings, to throw off snoopy siblings! Warmth, love, and lovingly handcrafted gifts save the day!